Brendan looks back at the last 99 episodes and picks out his favorite 10. Enjoy! Which are your favorite episodes of Pick Up and Deliver? 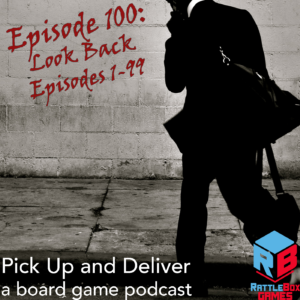 Pop over to our Boardgame Geek forum and let us know. #3269.